Soft-Tissue Injuries are quite common after you are involved in a Car Accident. The amount of trauma your body absorbs from the rapid change in direction due to a Car Accident causes a reaction in the body known as muscle splinting. Similar to putting a splint on broken fingers, our body reacts to violent motions by shutting down certain muscle groups, our nervous system goes into a fight or flight state, and our ligaments can become more lax. Our goal in this blog post is to share with you typical Soft-Tissue Injuries following a Car Accident, natural therapies you can do at home to help and what where you can go to get checked out by an experienced Car Accident Injury Doctor if you are still experiencing pain. There are two categories of Soft-Tissue Injuries that occur in the body; Acute, and Chronic. Acute tissue-injuries immediately follow an event like a Car Accident or Sports Injury and are the injuries this post speaks to. Chronic injuries are long lasting and can affect your Activities of Daily Living. Any injuries to the body's “soft” areas (ligaments, tendons, and muscles) are classified as soft-tissue injuries. Soft tissue injuries can cause great pain and discomfort in the form of soreness, swelling, bruising, and stiffness. These types of injuries are common in vehicle accidents because of the impact of the collisions between vehicles. Sprains: damage to a ligament due to the overextension of a joint. Tendons are fibrous cords of tissue that attach muscles to the bone. Typical symptoms of a strain include localized pain in the area of impact, ongoing muscle spasm, muscle weakness and nerve weakness, localized swelling, inflammation, and cramping. Contusions: A contusion is a bruise caused by a direct blow, crushing underlying muscle fibers and connective tissue without breaking the skin, the bruise is a pooling of blood underneath the skin. A contusion can result from falling or being slammed into a steering wheel, console or even your seat belt during an auto accident. Strains: A sprain is a stretch and tear of a ligament, a strong band of connective tissue that connect the end of one bone with another. Ligaments stabilize and support the body's joints. When a ligament is damaged in an accident, it creates a laxity or creep effect. This laxity in a joint can cause any area of your spine to move past its typical range of motion. This puts an incredible amount of stress on your vertebral discs, two types of typical ligament strains after a Car Accident are Whiplash and a Spondylolisthesis. What Are Simple Treatments To Do Following A Car Accident? Rest. The particular area that is in pain should be rested, don't try to overexert yourself after a trauma injury has occurred. Ice. Use cold packs for 20 minutes at a time, several times a day. Do not apply ice directly to the skin, instead, use a wash cloth in between your skin and the ice. Compression. To prevent additional swelling and blood loss, wear an elastic compression bandage or have somebody else apply a gentle compression force to the area. Elevation. To reduce swelling, elevate the injury higher than your heart while resting. What If I Am Still Experiencing Severe Pain After the Car Accident? Anytime you are involved in a Car Accident, you should seek Medical Attention to make sure your body is moving and operating the way it should. If you are in Georgia or Tennessee, we invite you to any on of our Car Accident Clinics. 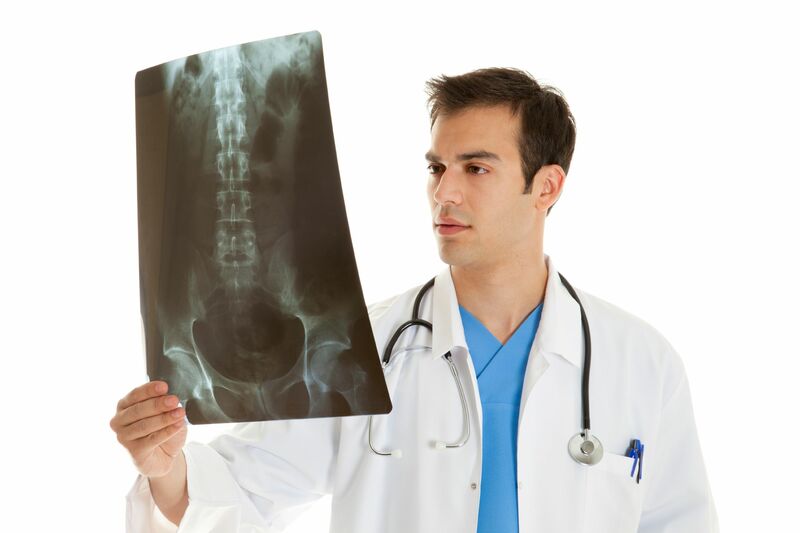 Our team of Accident Injury Chiropractors and Medical Doctors have been treating Car Accident Victims for 40 years. If you need to speak with someone about your Soft-tissue injuries, click the link below for a Free Consultation.